I joined Crossfit Somerville in January 2014 after leaving the Army as a way to not only maintain my fitness level but hopefully improve upon it. I have always had a mediocre athletic ability, able to play High School sports, play College club level Rugby, and pass Army PT but I never led the group. I chose Crossfit because I no longer wanted to run 3-6 miles a day and then attempt as many pushups and sit ups as I could per a session. I had some exposure to Crossfit when I was in the Army and I thought it was the best route to assist me in my goal of being able to do 20 dead hang pull ups at some point in my life. 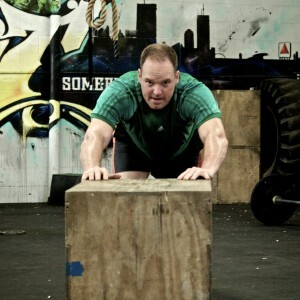 I chose Crossfit Somerville initially because it was the closest to where I live but I have continued be a member of Crossfit Somerville for three reasons. The primary reason is the quality of the coaches and the training program that they establish. The classes at the gym are capped at 10 participants allowing the coaches to be able to work more closely with everyone which I especially needed when I first started attending. Prior, I was used to just accomplishing a task in any manner that I could, so I really struggled with my form at the start. The coach’s attention to form and improving ability is never lost just because you switch to a different class time or have a different coach filling in for your class. I had a coach I hadn’t seen in six weeks correct me on a form issue that I had been struggling with and told me that it had come up in the coaches’ regular planning session for every member. The coaches’ plan shifts as you improve or if you need to scale back. 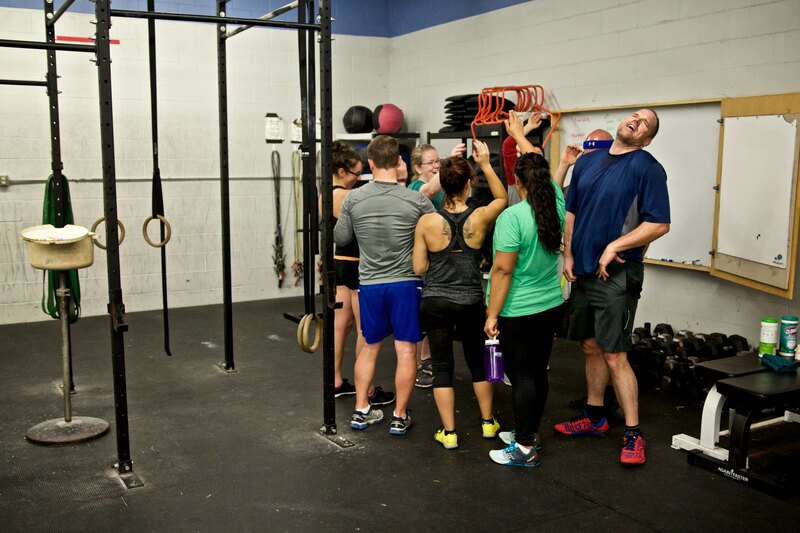 The second reason that I have continued to go to Crossfit Somerville is the sense of community that is promoted inside the gym and in the local community. I appreciate the positive atmosphere that both coaches and members bring to the gym. It is already tough enough getting up to attend a regular 5:30 a.m. class but knowing that I am going to do it with people who will cheer you on as you struggle through a tough workout or a tough lift is nice. The gym works to bring opportunities for the gym members to gather up for different activities or events and even though I only see some people for a few minutes a day as the next class transitions in I am glad to see them. I also just like the fact that the gym is a community cook for Rosie’s Place. The third reason that I have continued to be a member is the ease of being a member. There are a multitude of class times throughout the day to choose from so as your personal schedule shifts there is always a class to match. The coaches already have a plan for you so you won’t miss out because you are in a different class time. 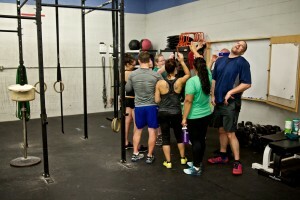 Crossfit is not an inexpensive activity to participate in and the gym realizes this and without question I have been able to put my membership on hold and the membership picks up where I left off. I unexpectedly had to travel for work for two weeks once and I emailed the gym to let them know and that day I got a confirmation back. I took off for two weeks of work and came back to the remaining days left. All that changed was that my regular payment had been bumped back two weeks. 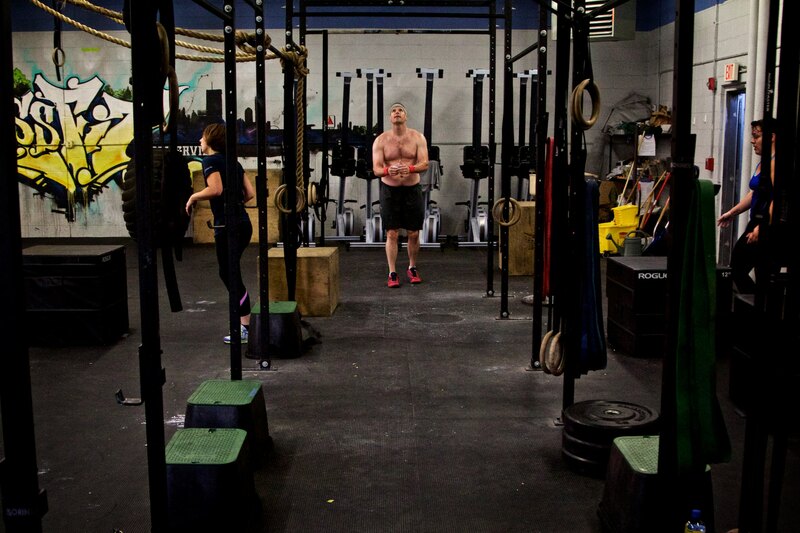 If you are considering Crossfit, you should do it. The first day will probably be tough. The first week might be tough. The first month could be tough. But it is worth it. Focus on form, keep the weight low. Consider using just the bar or just your body weight for the workout. There are workouts that are body weight that I still find tough. It might help if I stopped occasionally eating cookies like a twelve year old left alone for the weekend but only time will tell.